Are you called to teach worship dance to children? This series of ten lessons will equip you with what you need to lay a biblical foundation for worship dance for children and to help them them build a vocabulary of movement. 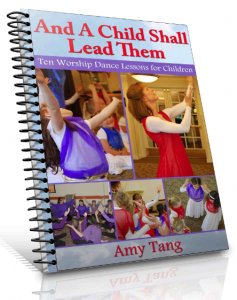 Purchase this book today to the help the children in your life use dance to worship Jesus. • suggested worship songs and scriptures for each lesson. • a list of suggested resources for teaching worship dance. 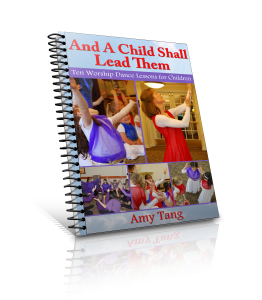 Also available are two 15 minute videos in which Amy teaches two of the lessons from the curriculum, including live footage from one of her worship dance classes. Use this book alone to teach short lessons, laying a biblical foundation for your children’s worship dance team and giving the beginner dancer tools to begin moving in worship. Or, add your own technique and choreography for a complete praise dance class.